One recipe a day unless you subscribe to the monthly plan of $9.99. Also does not list protein, carb and fat grams. Very limited. Not worth the $$. You only get 4 dinner recipes free, the rest is $4.99/month!! There's the $1.99 subscription cost which is not terrible as long as the recipes keep updating. There is no account to sign into so if you have on a phone it won't sync with an iPad. And no website. You can use it on multiple devices but you need to manually update your selections on each device separately. A list for each day's meals would be a good option. The pictures are nice, but I'd like to see a list. 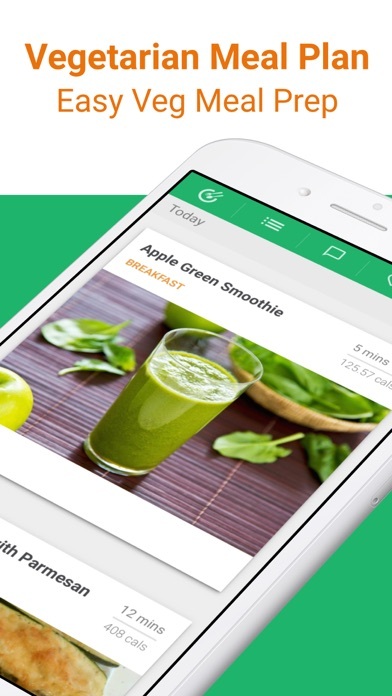 There is no nutritional or calorie information so you will need to input the recipes into a separate app for that. There is no way that I found to print a recipe. You can email a picture of it. 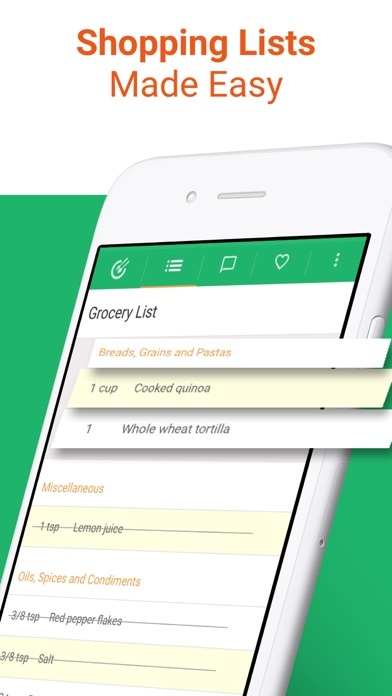 This app is easy to use and features healthy, delicious, simple recipes complete with a shopping list. 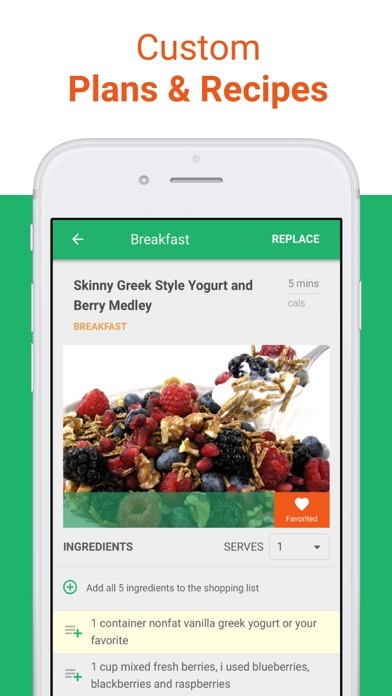 This app makes meal planning for a healthy lifestyle easy. 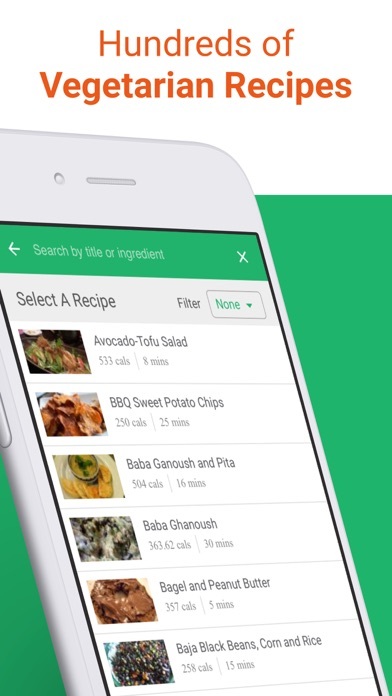 I especially like that I can see an entire week of meals and then save recipes to favorites. Works great on my iPad and iPhone too! 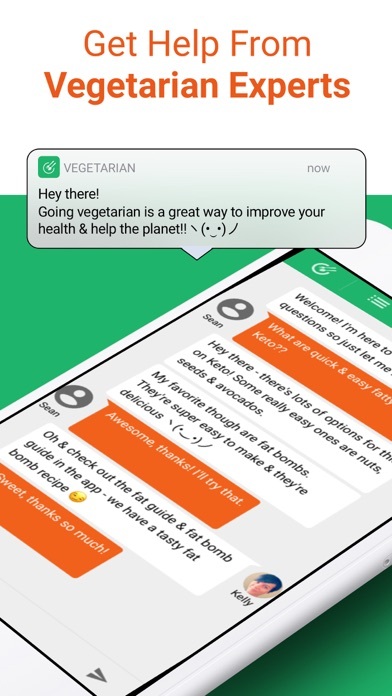 This app is exactly what I was looking for! The recipes are mouth-watering. It's simple to use and understand. My favorite feature is the little shopping cart you can touch on each recipe you're interested in making and it will generate one shopping list for you. My poor kids are going to be bummed we won't be eating out anymore!